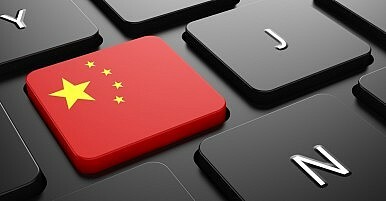 Will China’s Internet Finally Open to the World? China claims its Internet will be multilateral, democratic, and transparent, but attacks on teachers suggest otherwise. At the recent World Internet Conference held in Wuzhen City, Zhejiang Province, located in southern China, Lu Wei, China’s Chairman of State Internet Information Office and the Vice-Chairman of State Council Information Office, cheerfully told representatives from nearly 100 countries and regions that China had successfully realized the “3CtoCs” in global Internet development, that is, “come to China,” “come to the consumer,” and “come to consensus.” In reality, however, it is only consensus in accordance with the interests of the Chinese Communist Party that survives. For a long time, Chinese liberal-minded intellectuals and university professors have dominated the public sphere, both online and offline, in China. But now, the Party is proactively pushing to win back its agenda-setting and opinion-molding roles among its people and in the broader international arena. On November 14, the Liaoning Daily, the official newspaper of the Liaoning Provincial Committee of the Communist Party of China, published a front-page editorial titled “Teachers, Please Do Not Talk About China In This Way,” criticizing the content – and the way – that Chinese university professors teach. “Some teachers just don’t take the ideological and political theory courses seriously. They inappropriately compare Mao Zedong to ancient emperors and dismiss the Party’s innovative theories. Some tout Western ideas of ‘separation of powers’ and think that China should take a Western development path,” wrote the newspaper. According to the Liaoning Daily, its reporters “went to five universities in Shenyang, Beijing, Shanghai, Wuhan, and Guangzhou and audited almost 100 courses” over half a month and took notes totaling more than 130,000 words. Based on these notes, the reporters came up with the “three problems” outlined in its four-page open letter, accusing university professors of lacking a “sense of approval for theory,” “sense of approval for politics,” and “sense of approval for sentiments” when discussing China in class. While the article was not picked up by commercial media and mainstream news websites until a day later, Beijing-based state media were quick to echo the Liaoning Daily. Since July this year, “Guo Ping” has published a number of commentaries on the official websites of the People’s Daily, Xinhua, and other state and party media. According to one news analysis, “Guo Ping” might stand for “state commentary,” a Chinese phrase with the same pronunciation as that of the name Guo Ping. “His articles are highly relevant topics netizens are interested in. The phrase ‘Guo Ping’ may mean that these articles are written by the State Council Information Office and its affiliated offices.” In the following days, the Xinhua News Agency and People’s Daily also joined the online camp supporting the Liaoning Daily. While some Chinese intellectuals see this open letter and its chain reaction as an alarming signal of potential interference with education by the Party, others maintain that the Party is aiming at something bigger. The fruit, however, may be one that is selected before it is delivered to the people. Formally a journalist and news editor based in China, Lotus Yang Ruan is pursuing her Master’s degree in Asia Pacific policy studies at the University of British Columbia with her main research interest the Greater China Region.